First run in 1957 The Hennessy Gold Cup has been won by some of the great names of national hunt racing including Mandarin, who won the inaugural running, Arkle, Burrough Hill Lad, and more recently Denman who won in 2007 and again in 2009, carrying 11st 12lbs on both occasions. First run in 1957 The Hennessy Gold Cup has been won by some of the great names of national hunt racing including Mandarin, who won the inaugural running, Arkle, Burrough Hill Lad, and more recently Denman who won in 2007 and again in 2009, carrying 11st 12lbs on both occasions. Run at Newbury over 3ml 2 1/2f, stamina is an absolute prerequisite. Most previous winners have been improving animals, very often second season chasers, who have performed at a high level during their initial year over fences. Big weights have been no bar to success in recent years, with seven of the last ten winners carrying more than 11st, and both Trabolgan and Denman winning with the steadier of 11st 12lbs on their back. The R.S.A. Chase at the festival has been a good guide, with six of the last ten winners having contested it. Irish trained winners are a rarity, Bright Highway being the most recent in 1980. Willie Mullins’s Be My Royal was first past the post in 2002 but was subsequently disqualified. 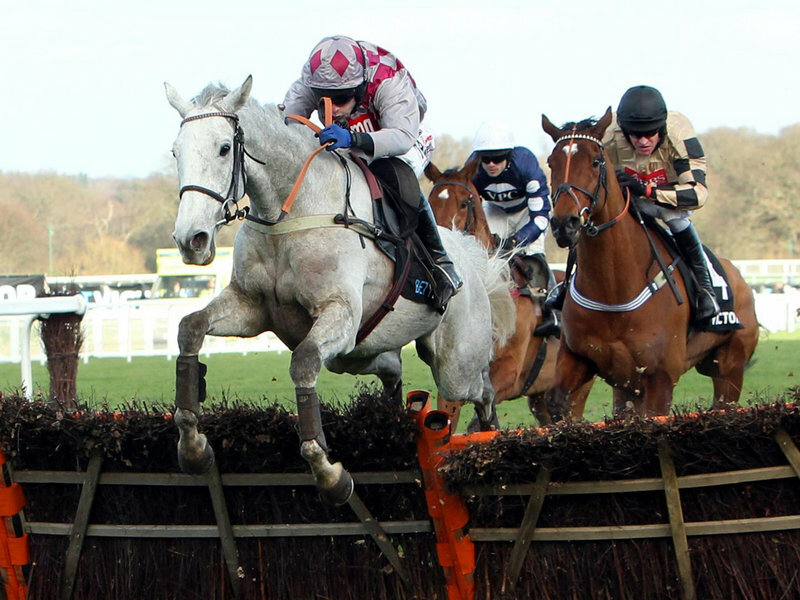 Alan King entertains high hopes for his tough and classy 7yo Smad Place. He ran a great race in the R.S.A. At the festival only giving best to O’Faolains Boy in literally the last stride of the contest. Winner of two of his four chases, one of them was in glue pot conditions at Newbury in Febuary where he disposed of the useful Sam Winner, so Saturday’s ground won’t be a concern. Having been placed in two World Hurdles he certainly has classy credentials and there is every indication that he will be an even better chaser than hurdler. Definitley one for the short list! Willie Mullins’s 5yo Djakadam is a fascinating runner. No 5yo has ever won the Hennessy ( only two have tried in the last decade) so can he make it a first? He was travelling as though he might be involved in the finish when coming down at the fourth last in the R.S.A. And if that was the case he looks very well treated on Saturday. He relishes testing conditions and has been backed as if already past the post, but to this observer odds of 4/1 seem decidedly skinny for a horse that has only contested three chases, even though he won two of them. However with Mullins winning all before him and Ruby Walsh in the plate he is very hard to dismiss. Paul Nicholls’s c.v includes two riding successes ( Broadheath and Playschool ) and two training successes ( Denman twice) in the Hennessy, so he certainly knows what is required. Rocky Creek boasts many of the attributes necessary to improve Paul’s c.v further. He ran a blinder in last years renewal finishing second to Triolo D’Alene on unsuitably fast ground, going down by 2 3/4L. He meets the winner on 5lbs better terms on Saturday and with ground conditions in his favour has every chance of reversing last years placings. Another who was unsuited by last years fast ground was the sixth home, Houblon des Obeaux . Taken off his feet early on he was the strongest finisher and almost caught Merry King in fifth. He showed his best form before Christmas last year winning twice at Ascot, the second time off a mark of 152, so Saturday’s Mark of 155 looks reasonable. With ground conditions in his favour he is worth considering at his current odds of 33/1. Oliver Sherwood’s 7yo Many Clouds departed at the fourteenth in the R.S.A but made a very taking reappearance over 2 1/2ml at demanding Carlisle four weeks ago. Jumping like a veteran he made smooth headway to lead three out and when pressed on the testing uphill finish kept on very strongly indeed in the manner of a true stayer. He is raised 7lbs but with Saturday’s distance likely to elicit further improvement he is another to consider. Colin Tizzard is quite bullish about his Cue Cards chances. Last years winner made his reappearance in the Haldon Gold Cup over, in the view of this observer, an inadequate 2ml 1f. First run in 2005 the Betfair Chase has produced in its short nine year history three winners who have won the Cheltenham Gold Cup. The great Kauto Star,who won the Gold cup in 2007, and 2009, and Imperial Commander who collected Cheltenham’s blue riband in 2010. Kauto Star in fact won the Betfair chase three times and his superb trainer Paul Nicholls has been successful on two other occasions, most recently with one of Saturday’s contenders Silviniaco Conti in 2012. Silviniaco Conti was beaten into third place in last years renewal where he finished 4 1/2L and 1 1/4L behind Cue Card and Dynaste. He made his reappearance this time in the Charlie Hall chase at Wetherby three weeks ago,where despite going off the 11/10 fav he was dissappointing finishing fifth, eight lengths behind the winner Menorah. However Nicholls was quite positive, feeling that the race was needed. He also expressed some concern about the distance of the Charlie Hall,expressing the view that the race was run over rather less than the advertised 3ml 1f. It may well be the case that Silviniaco Conti does need a race to put him straight so fully expect last years King George V1 hero to be bang in contention on Saturday. Colin Tizzard is quite bullish about his Cue Cards chances. Last years winner made his reappearance in the Haldon Gold Cup over, in the view of this observer, an inadequate 2ml 1f. Despite going off the 13/8 fav he finished fourth, 15L behind the winner, Gods Own, to whom he was Conceeding 17lbs. Considering that it was his first run for nearly eleven months it was a satisfactory comeback and Tizzard feels that the horse will benefit hugely from it. If he turns up on Saturday in the same form as last year he must have every chance of retaining his crown. David Pipe’s Dynaste ran a very solid race in this last year. Making his seasonal debut he finished 4 1/2L behind Cue Card, but then disappointed in the King Georg V1 chase at Kempton. He got his season back on track when winning the Ryan Air Chase 2ml 5f at the Cheltenham Festival, and again performed well at the Aintree Festival when running Silviniaco Conti to 1 1/2L, over 3ml 1f. He does seem to run his best races when fresh and has performed really well on both visits to Haydock, so definitley one for the short list. If the heavens open Kim Bailey’s mud lover Harry Topper is worth a second look. Successful in five of his ten chases, he made a winning reappearance last year in the Charlie Hall chase on what was for him unsuitable ground. He ran well on very bad ground at Cheltenham in January when 7l and a hd behind The Giant Bolster and Rocky Creek, but was a revelation a fortnight later at Newbury where he beat Al Ferof and Katenko by 25L and 24L on heavy ground. He likes a flat course, and goes well fresh, so given heavy ground on Saturday his chance is obvious. Jonjo O’Neill’s Taquin du Seuil is another who handles testing conditions. 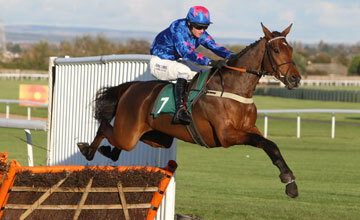 He trotted up in a novice chase at Haydock 2ml 5f hvy in January and went on to win over 2 1/2ml at the festival. He is undoubtedly a class act, but does he really stay? He did seem to answer the question last time at Wetherby where he stayed on to take second behind Menorah ( who was Conceeding 5lbs ). However as mentioned above there is some doubt as to the distance travelled at Wetherby so for the moment the jury is out on his stamina credentials. Menorah was something of a surprise package in the Charlie Hall but there is no denying that this previously classy hurdler is well suited by the 3ml chasing game. All ground comes alike to him so with his stable hitting stratospheric heights he is another to consider. Double Ross ran well in the Charlie Hall but he is unlikely to have conditions to suit on Saturday. The 8yo Little Josh is the oldest horse to have won this in the last decade and there hasn’t been a winner aged 10 or older since Clear Cut in 1975 emphasising that this is a race for the younger progressive type of chaser. The 8yo Little Josh is the oldest horse to have won this in the last decade and there hasn’t been a winner aged 10 or older since Clear Cut in 1975 emphasizing that this is a race for the younger progressive type of chaser. Weight has been a significant factor over the past decade but three have carried more than 11st. These include Old Vic, from the Pipe yard who won with 11st 7lbs in 2005. Course form has been most significant with 16 of the last twenty winners having previously hit the Bulls eye on the track. The Irish have had little success, with Eddie O’Grady’s Tranquil Sea in 2009 being their sole success since 1980. The Pipe family have had great success with Martin winning eight times in his illustrious career and son David hitting the back of the net three years ago with the 7yo Great Endeavour . The stable is represented by Easter Meteor on Saturday and is well worth considering. Having been brought down in this last year when travelling strongly, he turned out a fortnight later at Newbury , and ran Cantlow to whom he was Conceeding 3 lbs to 1 1/2 L. Brought down in a 2 miler at the festival he was put away for the season and now reappears representing the Pipe academy. Highly likely to have benefited from the change of scenery and the Pond House methodology, it would be no surprise to see him figure prominently on Saturday. Alan King’s Uxizandre ran a marvellous race at the festival when just being run out of it by the classy Taquin Du Seuil, 2 1/2 ml. He was’nt stopping at the finish, and having won over 3ml on soft ground as 4yo hurdler there should be no stamina issues on Saturday. 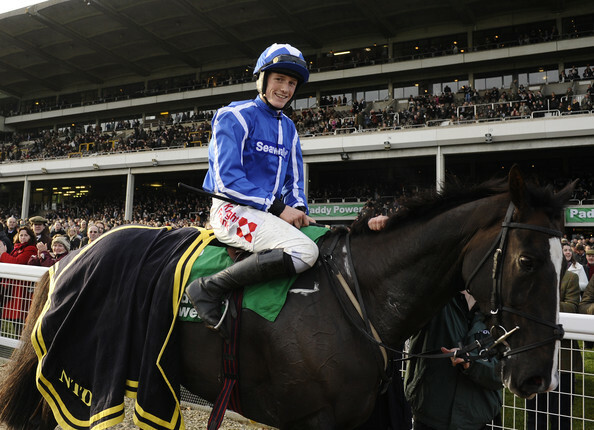 He went on to collect the Cl1 Gd1 chase at the Aintree festival and is undoubtedly a class act. Unfortunately this leaves him with a hefty 11st 12lbs to carry. Nevertheless he is one for the short list. A winner over the new course at Cheltenham 2ml 5f on heavy ground in January, where he beat the Feltham winner Annacotty, the ex Donald Mc Cain trained Indian Castle is interesting. He went off the 7/2 fav for the Kim Muir at the festival but was never really in contention. Now in the hands of the very capable trainer Ian Williams, with his nice racing weight, and proven ability in testing conditions. He is another for the short list. Favourite at the time of writing, Jamie Snowden’s Present View has a lot to recommend him. A winner over course and distance at the festival, in only his fourth race over fences. He made a very satisfactory reappearance 4 weeks ago in a 2ml novice hurdle at Cheltenham. He had the race at his mercy when making a mess of the last and went down by a hd to the very useful Vicente. He did sustain a severe cut to his leg and missed some work, but his upwardly mobile trainer is not unduly concerned. With a nice racing weight of 10st 12lbs he must have a great chance on Saturday. Last years winner John’s Spirit again showed his liking for the course when winning from Persian Snow, Ericht, and Astracad, four weeks ago. However he will be racing off a mark 17lbs higher than last year, so perhaps the one to take out of the race is Phillip Hobbs’s Persian Snow. He has plenty of course form, has a nice racing weight, and confidence would be further enhanced if we have plenty of rain. Evan Williams’s progressive 7yo chaser Buywise is very interesting. He showed great reseloution at the festival in March where despite a series of mistakes and a bad blunder two out he stayed on into fifth behind Present View. He wasn’t exactly foot perfect a month later, again at Cheltenham when winning by 9L from Astracad. He made an eye catching reappearance at Ludlow when winning a 2ml novice hurdle three weeks ago. He is another who will be well suited by testing conditions so plenty of rain would be very much in his favour. The one slight reservation would be with his jumping but in the hands of his master trainer it will be no surprise to see a much improved performance in this department on Saturday. 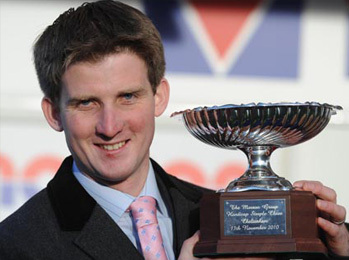 One who should be taken very seriously indeed is Neil Mulholland’s progressive chaser The Young Master. Always very competitive this 3ml 1 1/2f handicap chase has been dominated in recent years by the Nicholls and Pipe stables, who between them have won eight of the last ten runnings. Paul Nicholls is represented this year by the two second season chasers, Just A Par, and Benvolio. The former would seem to be his best chance of adding to his previous successes. If Just A Par could reproduce the form he showed when beating First Intention at Newbury by 14l last November he would look well treated here off a mark of 143. However he disappointed in his next three races, particularly the last of them where he finished 52l behind Holywell at Aintree in April. He does seem to be suited by testing conditions so coming from this stable, particularly if conditions deteriorate , it would come as no surprise to see him involved at the sharp end on Saturday. Last year’s winner Standing Ovation, represents the Pipe stable and comes here off a promising first run of the season at Cheltenham three weeks ago. Considered to be a better animal going right handed his second to Roalco de Farges at left handed Cheltenham was very encouraging. He is racing off a mark 11lbs higher than last year but still has a nice racing weight of 10st 13lbs. One reservation about his chance on Saturday would be a lot of rain, as both his previous record and his breeding ( by Presenting ) would suggest that top of the ground conditions are preferred. Given a dry week he must have a very serious chance. Another of Saturday’s contenders who definitley needs it to stay dry is Alan Kings Pantxoa. He has been running well all summer and looked very reseloute when stepping up to 3ml 3f two weeks ago where over the course he won off a mark of 139. If it stays dry he is worth considering of a mark of 143 on Saturday. Emma Lavelle’s Court by Surprise ran a nice trial for this when beating According to Trev very easily at Exeter seventeen days ago. He has been raised a severe looking 9lbs for Saturday, but having performed so well in last years renewal, when finishing third, he is still considered. Harry Fry who is in such scintillating form runs Opening Batsman whom, if recapturing his form of Febuary 2013 would look very well treated indeed. Any strong market moves should be noted, but perhaps a watching brief for the moment is the best advice. One who should be taken very seriously indeed is Neil Mulholland’s progressive chaser The Young Master. This 5yo won his first chase, a cl4 at Worcester at the end of September by 27l from Master of Milan,and then upped in class,he took a competitive looking amateur handicap at Cheltenham three weeks ago by 4 1/2L from Charwingworth with that good yardstick Balbriggan, a further 4L back in third. Raised 9lbs for Saturday, this highly progressive horse to whom all ground comes alike looks well treated and is one for the short list. Colin Tizzard’s Golden Chieftain would be well suited by plenty of rain. He ran with plenty of promise in the same race as Standing Ovation at Cheltenham on his reappearance three weeks ago where he finished 12L behind him. He was still in contention until tiring between the last two fences and is bound to have come on for the race. If the ground does come up soft it is not hard to envisage him being involved. Tim Vaughan’s Ackertac is an interesting runner. In a twenty three runner handicap at the Cheltenham festival he finished 2L behind Standing Ovation to whom he was giving 11lbs. He made a satisfactory reappearance three weeks ago over an inadequate 2 1/2ml and is now 6lbs better off with Standing Ovation for the 2L at the festival. Another worth considering! Win Selection. The Young Master and E.W. Ackertac .